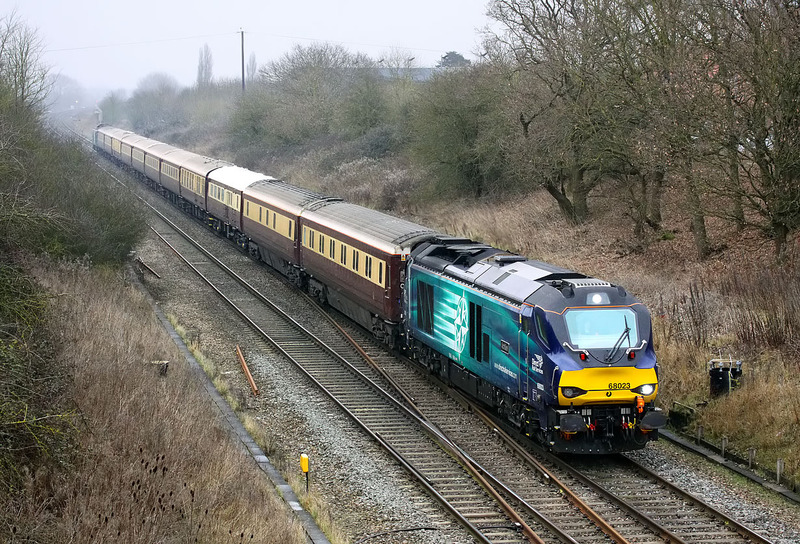 68023 Achilles passes South Marston in atrocious light on 11 February 2017 with the 1Z50 12:35 Paddington to Cardiff Central rugby special, using the Belmond Northern Belle set of caches. 68025 Superb can just be seen on the rear of the train. The steel piles driven into the ground are the only visible signs here of Network Rail's hugely delayed electfrication programme.